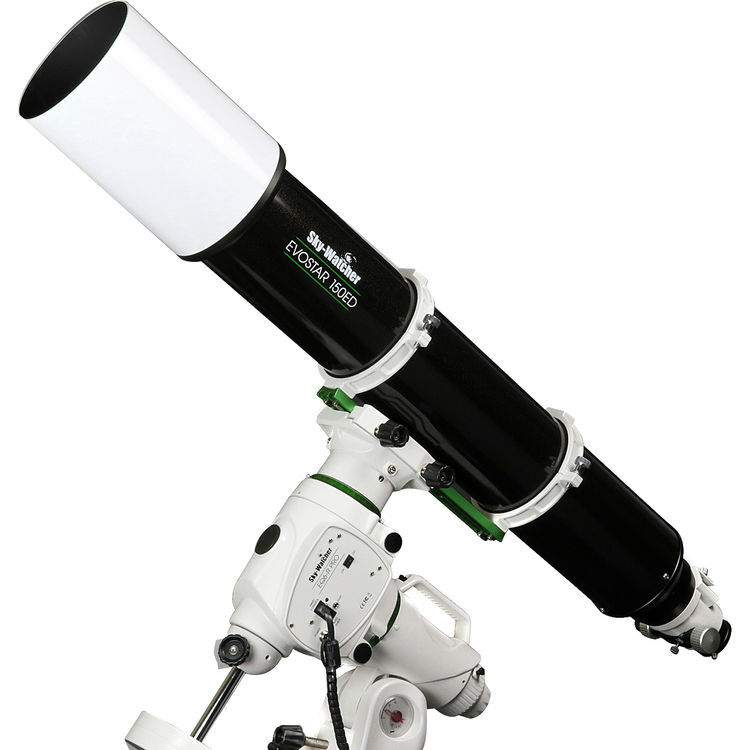 An upgrade from the standard Evostar 150, the Sky-Watcher Evostar 150DX ED APO 150mm f/8 Refractor is outfitted with a larger and stronger focusing mechanism and drawtube, and a heavy-duty cradle-ring and mounting system. The large 150mm aperture is complemented by an extra low-dispersion (ED) element set in a doublet apochromatic lens design. 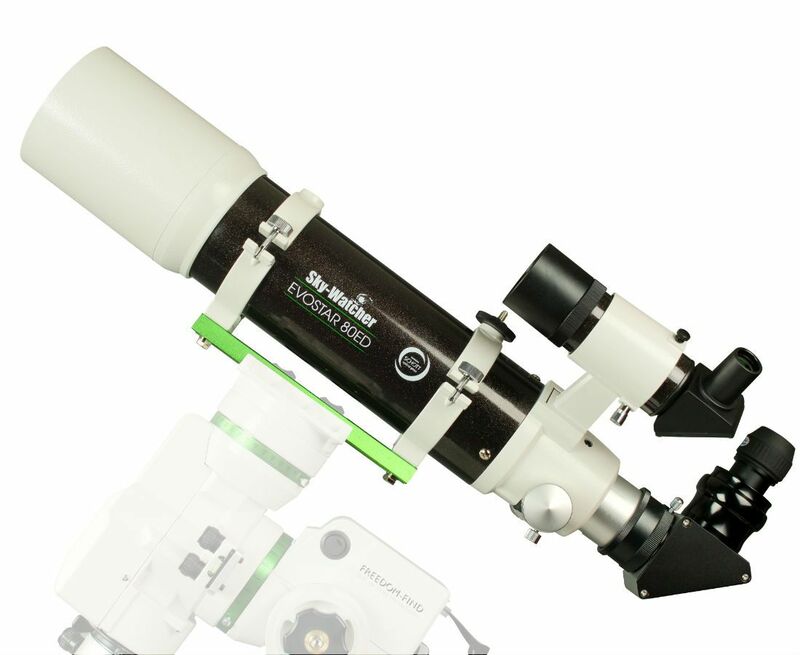 These two optical features make the Evostar much more precise than standard refractors, producing crisp and clear high-resolution views with limited edge distortion and accurate color representation. 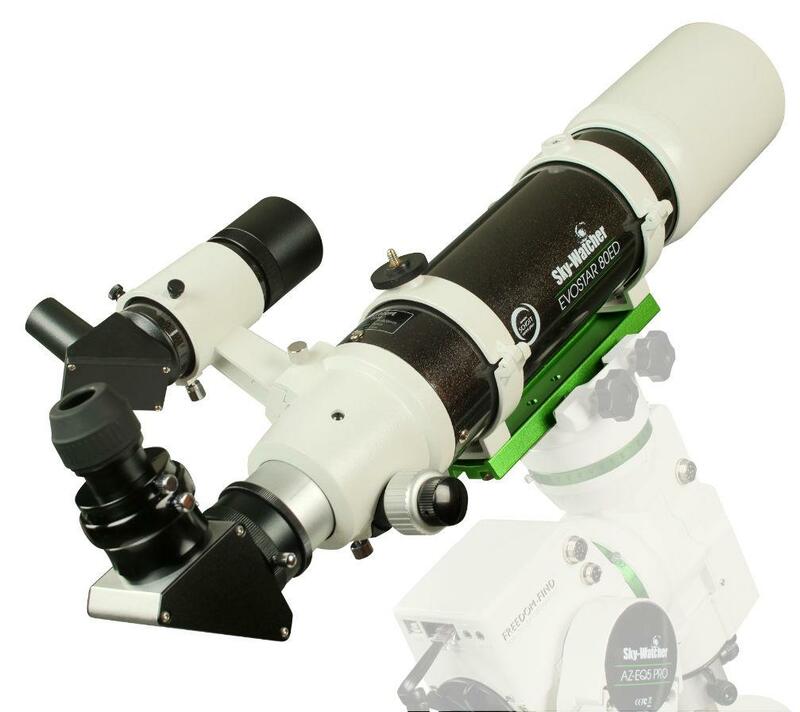 To easily carry heavier 2" eyepieces or full-frame DSLRs, Sky-Watcher upgrades the focuser on the DX model to a strong and sturdy rack-and-pinion style with a massive 3.4" diameter drawtube. 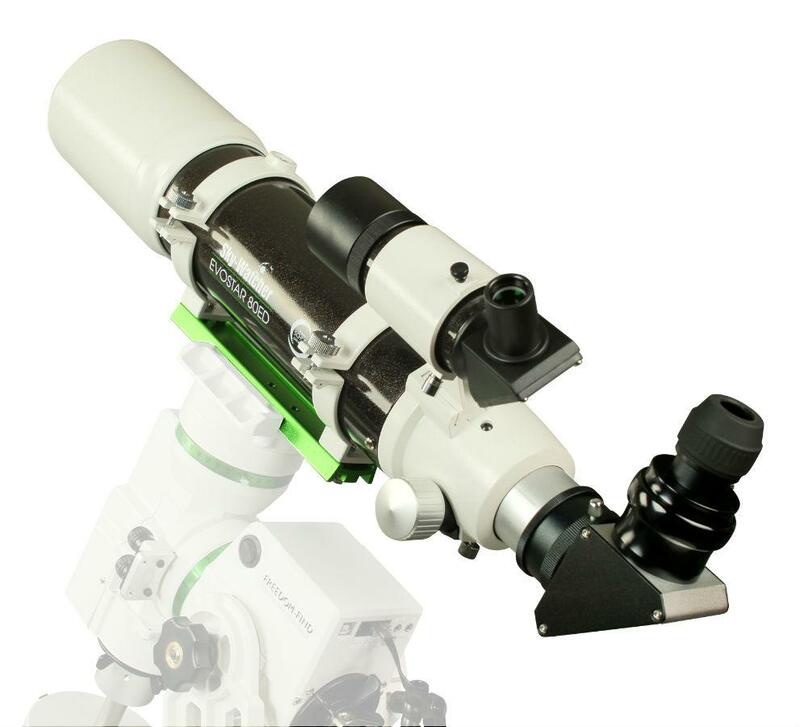 The rack-and-pinion design provides a rock-solid platform for heavy loads, while the drawtube lets copious amounts of light through unimpeded to ensure the brightest views and fully cover even the largest imaging sensors. A stiff and sturdy heavy-duty mounting cradle-ring assembly clamps over the OTA and lets the user adjust the orientation and position of the scope relative to the mount to optimize viewing comfort and to help with balancing, while avoiding interference with other equipment. The scope is offered without a mount or tripod, but a large Losmandy-style dovetail plate makes it compatible with any mount head with a Losmandy-style saddle to safely carry the 22-pound OTA plus accessories. Protecting the optical tube and accessories during transport and storage, a hard aluminum carrying case is provided. Box Dimensions (LxWxH) 58.25 x 18.5 x 15.0"